Last week I was so busy with my family so I could not get time to write anything. Luckily I have got some time this week. To learn anything you would need some tools related to what you are going to learn, perhaps some books or some software etc. 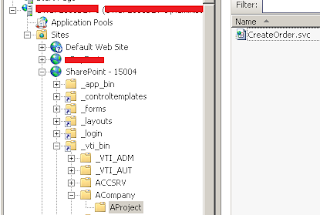 You can find everything related to SharePoint in 12/14 hive. Let’s get started! If you want to deploy your own custom WCF or ASMX web service, ISAP is the recommended place to use it. When you deploy in 14 hives it is recommended that you should use your own folder. 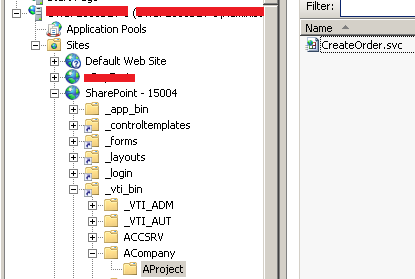 Let’s say I want to deploy a WCF that creates an Order and save it to SharePoint list/or database. Also you can get the url from IIS. Go to your IIS as shown below and select the CreateOrder.svc page and right click and click Browse option. 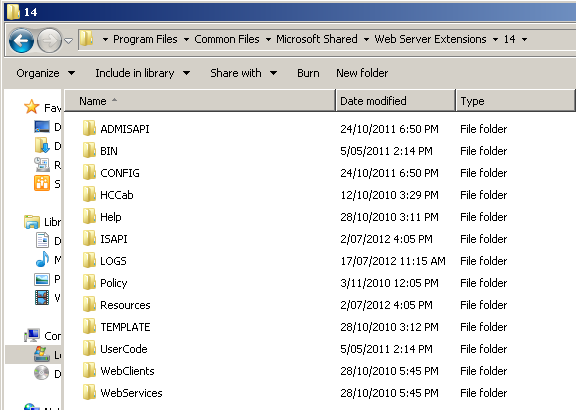 Browse 14 hives\TEMPLATE\Site Templates and pick the easiest one that is sts and inspect the folder structure and files. If you observe the structure then it will be easy for you to create a custom site template that you can deploy through SharePoint solutions. 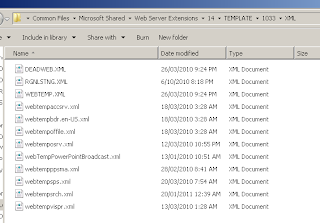 Also have a look at xml files located above in the picture. It will tell how to create a configuration and Site Provisioning Provider. If you pay close attention to the red box you will notice that we are saying that we want that web-part (Members webpart) to be added to “Right” zone in that page with order “1”. It means this web-part will be displayed first. 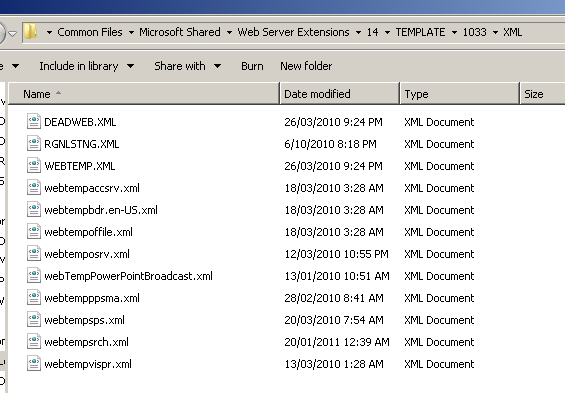 The easiest way to get the xml for web part is to export the web-part from the page and open it to some notepad. There are lot of things but what I wanted to share is that how you can explore SharePoint yourself. Some of you guys must be thing where we have used dotPeek or Reflector. J You can use where you want to know how SharePoint is doing some of the stuff. 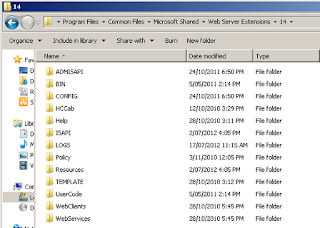 So you can inspect Microsoft.SharePoint.dll or desired dll. Happy talking about SharePoint !! !